I first discovered the work of artist Jonathan Santoro on the website for the Bottleneck Gallery (Brooklyn, NY). I thought his piece “The Orphan and The Daughter” for the “Get A Room” show was a fantastic tribute to Wes Anderson’s Moonrise Kingdom. So we asked him to contribute a piece to the site. We were thrilled when Jonathan said yes. 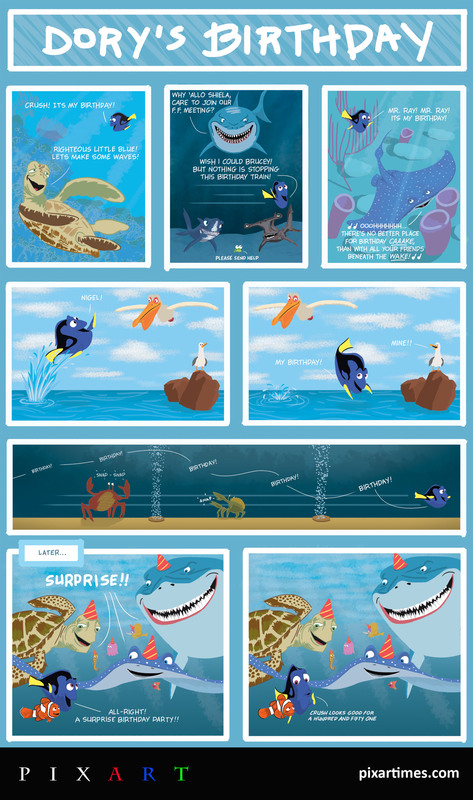 He delivered this wonderful Finding Nemo-themed piece that also has the distinction of being our first comic strip featured in this section. Check out Jonathan’s website for more great images. Read on for more about the artist in his own words.